To help remove drinking drivers from the road, AAA Hawaii is offering its Tipsy Tow service during the July 4th holiday. The service is available from 6 p.m. Tuesday, July 4, until 6 a.m. Wednesday, July 5. Tipsy Tow is available in the areas served by AAA Hawaii. AAA Hawaii encourages party-goers to plan ahead for a sober ride or use a designated driver if attending a gathering. Motorists, bartenders, restaurant managers, party hosts or passengers of a drinking driver may call 1-800-222-4357 for a free tow home of up to five miles. Callers simply tell the AAA operators, “I need a Tipsy Tow,” to receive the free tow and ride home. A regular AAA Hawaii-contracted roadside assistance service truck will be dispatched. Tipsy Tow is unique in that it provides a driver with the option of a safe ride home for themselves and their vehicle instead of driving while intoxicated. Callers need to keep in mind that the service excludes rides for passengers, is restricted to a one-way, one-time ride for the driver and the destination is limited to the driver’s residence. Reservations are not accepted. Drivers can expect to pay the rate charged by the tow truck contractor for rides beyond five miles. “We want motorists to be aware of the high crash risk from drinking and driving associated with the holiday. We encourage drivers to designate a sober driver instead of getting behind the wheel if they have been drinking,” said AAA Hawaii’s General Manager Liane Sumida. In Hawaii, from 2003-2012, there were 484 people killed in crashes involving a drunk driving, according to the Centers for Disease Control. Nationwide, in 2015, crashes involving drunken drivers claimed 10,265 lives, an average of one alcohol-impaired driving fatality occurred every 51 minutes. These alcohol-impaired driving fatalities accounted for 29 percent of the motor vehicle traffic fatalities in the United States, according National Highway Transportation Safety Administration (NHTSA). Fourth of July is a traditional time for barbeques, and home parties, as well as outings to restaurants and bars, and other excursions and gatherings. These activities contribute to a relaxed atmosphere and more drinking, according to Sumida. Drinking drivers frequently don’t plan for other ways to get home because they are concerned about retrieving their vehicle. They cite the expense of taxis and time inconvenience as the major reasons they don’t use alternative transportation, according to AAA Hawaii. Today, more options are available including designated sober drivers, public transit and ride-hailing services. People convicted of driving under the influence could lose many of the most important things in their lives, such as family, job, dignity and money. AAA Hawaii estimates that a first time DUI conviction can cost about $15,688 or more in fines, penalties, restitution, legal fees and insurance costs. Never serve alcohol to those under age 21. It’s illegal and dangerous. Never ride as a passenger in a car driven by someone who was drinking alcohol or using drugs. Keep a cab company or sober ride telephone number in your cell phone and wallet so you can call for a ride home. As a party host, offer non-alcoholic drink alternatives and provide a gift to guests who volunteer to be designated drivers; provide overnight accommodations to guests who’ve been drinking. 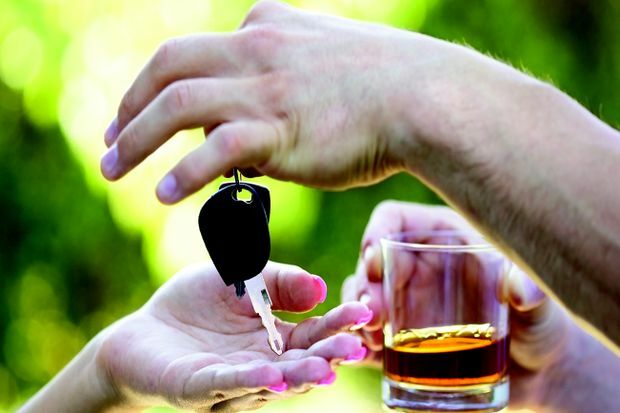 Take the car keys away from friends and relatives who have been drinking. If you encounter an impaired driver on the road, keep a safe distance and ask a passenger to call 9-1-1 (or pull over to a safe location to make the call yourself). Although Tipsy Tow is offered by AAA Hawaii and other AAA clubs, it is not a nationwide program. Check with your local AAA club for availability. Visit PreventDUI.AAA.com for impaired driving facts, transportation alternatives and expert advice. AAA encourages visitors to Take the Pledge to drive drug and alcohol-free.